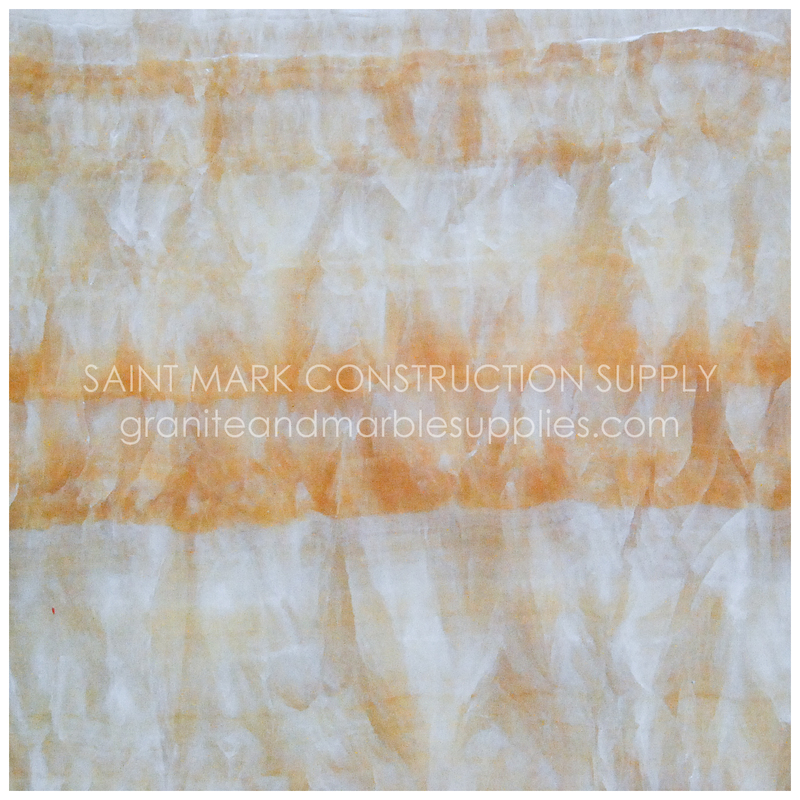 It is a soft, delicate stone composed of Calcite, the same mineral component of Limestone and Travertine. 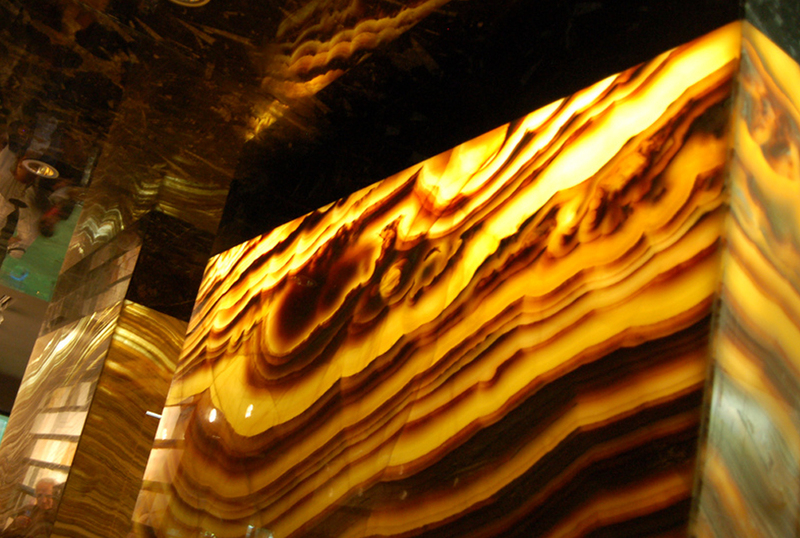 The stone is characterized by a series of contrasting colors running throughout its surface, giving each slab a unique color characteristic. It can vary in color from White to Yellow, Orange, Brown, and Green. The Onyx is a translucent stone often used for decorative functions. Paired with a backlight, it improves the ambience of any indoor structure. 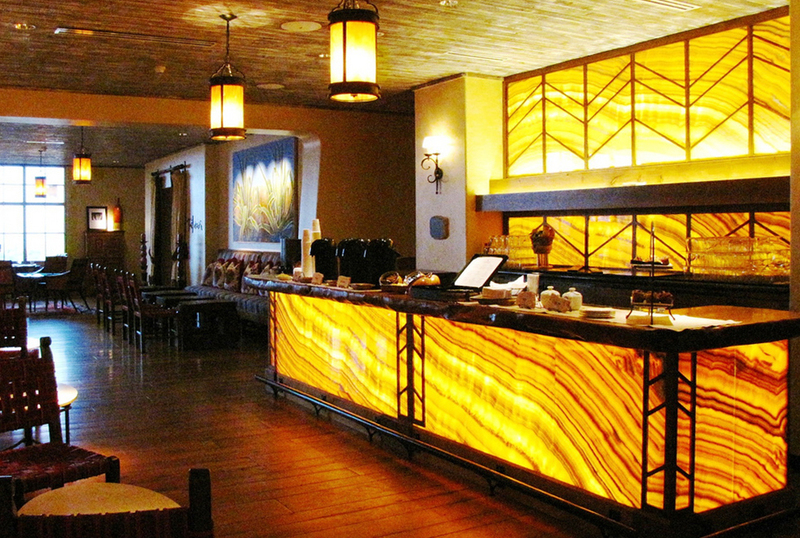 It is often used in hotel lobbies, fireplace surrounds, bar tops, and wall accents because of its unique and fascinating beauty. 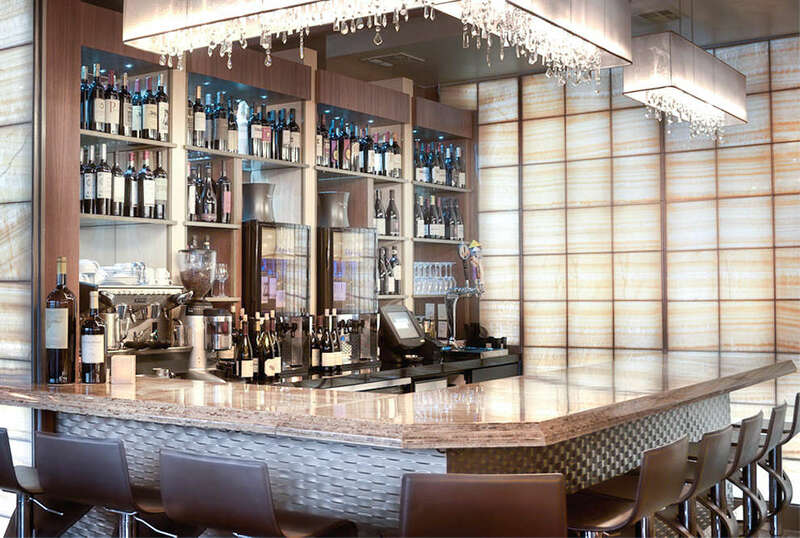 Design accents which require the use of onyx must be carefully placed. The stone is not as hard as granite. Therefore, it must be used for decorative applications only, never for heavy duty functions. It must be kept away from liquids because it is extremely porous. Moreover, exposure to any forms of acid will result to etching. To preserve the beauty of this stone, it must be installed only at the right locations. Onyx is a very expensive material. Careful consideration is required before putting one inside your place. If you are comfortable with (1) the price, (2) the required maintenance, and, more importantly, if you like (3) its appearance, onyx will definitely add a great value to your home or business establishment. This entry was posted in Onyx and tagged Backlit, Cladding, Counter Top, Countertop, Elevator, Onyx, Stone, Turkey, Wall by saintmarkcs. Bookmark the permalink.